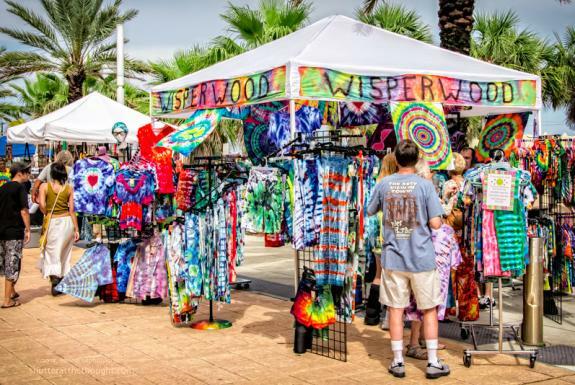 Bust out your bell-bottoms and tie-dye T-shirts — the Hippie Fest is coming back to Daytona Beach! Later this month, the popular festival will be celebrating its 10th anniversary with a fun-filled street festival and impressive concert line-up. More than 1,000 people are expected to attend this retro event — and if you buy your tickets today, you could be one of them! This year’s event theme is “Peace, Rock & Positive Vibes,” and the day kicks off at 3 p.m. outside the theater with a FREE street fest for the ages. Anyone is welcome to come and take part in the fun! There will be a wide variety of vendors selling themed and vintage items from the 1960s and 1970s, and other attractions will include live music, food and drinks, and some of the best people-watching in town. Every year, attendees enjoy perusing unique goods and gifts, getting to know each other, and dancing in the streets. After an afternoon of shopping and swaying to the music, head into the Peabody Auditorium for the festival’s main event! The line-up of bands is better than ever, and the concert will feature stellar performances from many celebrated artists. Bands include The Grass Roots ("Temptation Eyes," "Where Were You When I Needed You," "Midnight Confessions," "Sooner or Later"), Paul Revere&apos;s Raiders ("Good Thing," "Kicks," "Indian Reservation," "Just Like Me"), Rare Earth&apos;s Peter Rivera ("Get Ready," "Hey Big Brother," "I Just Want to Celebrate," "(I Know I&apos;m Losing You"), The Cyrkle ("Red Rubber Ball," "Turn Down Day"), and 1910 Fruitgum Company ("Simon Says," "Indian Giver," "1-2-3 Red Light"). The concert starts at 7:30 p.m., and tickets are available through the Peabody Auditorium. Prices range from $39-$49 — order yours today! If you enjoy music from the good ol’ days of soft rock, psychedelic rock and rock ’roll, you won’t want to miss it. In fact, Hippie Fest is a great excuse to go for a weekend getaway at the beach! Daytona Beach is the ideal destination for a super easy, hassle-free vacation, thanks to direct flights at Daytona Beach International Airport and easy access from I-95 and I-4. Picture this: You arrive on Friday, get settled into your oceanfront hotel room, and hit the riverfront for dinner as the sun goes down. Saturday morning, you can get a little bit of exercise and rejuvenation with a kayak excursion down the waterway. After a quick nap, you’ll be ready to rock out at Hippie Fest that evening! Turn off the alarm and sleep in on Sunday, then head to brunch nearby. After one last beach walk, you’ll hit the road and be back at work on Monday feeling refreshed and renewed. There’s nothing like a little rest, beach relaxation and rocking out to recharge your batteries. Don’t wait — start planning your trip today!